Trio da Paz comes to Clark University on Wednesday, April 17. Clark University’s 2019 Geller Jazz Concert on Wednesday, April 17, will feature Trio da Paz, three of Brazil’s most in-demand musicians — Romero Lubambo on guitar, Nilson Matta on bass, and Duduka da Fonseca on drums. 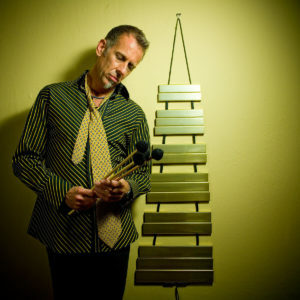 Joining Trio da Paz on stage will be two outstanding soloists: Grace Kelly, a regular with the band on “The Late Show with Stephen Colbert,” and Joe Locke, one of the world’s most versatile masters of the vibes. 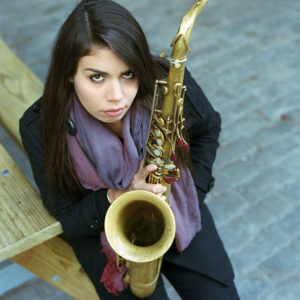 The first set for the 7:30 p.m. show in Traina Center for the Arts’ Razzo Hall will feature the Melissa Aldana Quartet. Tickets may be purchased online. The Geller Jazz Concert has sold out every year, so jazz lovers are encouraged to buy their tickets early. Trio da Paz updates the infectious spirit of jazz-oriented Brazilian music and redefines Brazilian jazz with their harmonically adventurous interactions, daring improvisations and dazzling rhythms. All three are seasoned masters of both jazz and Brazilian music. 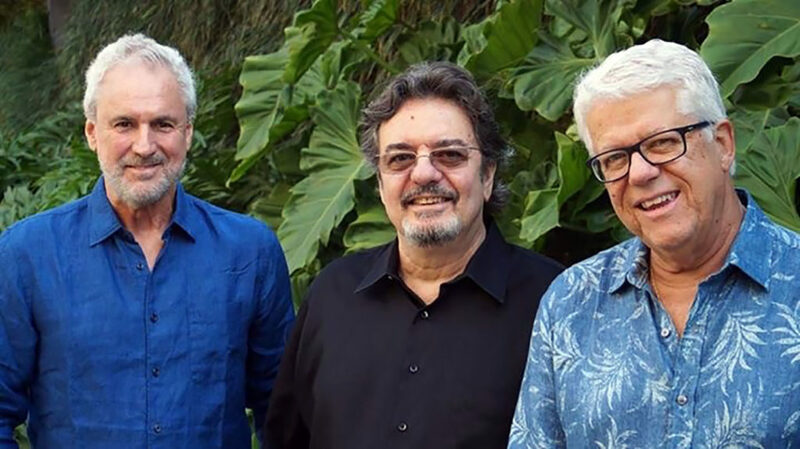 “Trio da Paz comes from a vital music tradition: Duduka da Fonseca came to the U.S. in the mid-’70s, and Romero Lubambo and Nilson Matta arrived a decade later. Together since 1993, the ‘samba jazz’ band represents the cream of expatriate Brazilian musicians in the U.S., as well as a vital link to the bossa nova years,” according to National Public Radio. 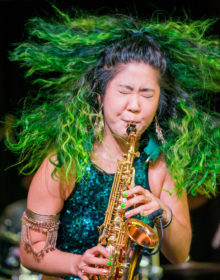 Kelly, a 25-year-old saxophonist, singer and composer, “has an electric charisma on stage that instantly ignites the room,” says “Late Show” bandleader Jon Batiste. On another note, Kelly was born Grace Chung in Wellesley, Massachusetts, later moving to Brookline. Her next-door neighbor was Shelly Tenenbaum, now a Clark sociology professor. Locke is widely considered to be a soloist capable of stunning physical power and broad emotional range. Previous featured artists in Geller Jazz Concert series and recipients of the Selma B. Geller Foundations of Jazz award include Ron Carter, Dave Liebman and Tom Harrell, Ravi Coltrane, Joe Lovano, and Christian MacBride. Selma Geller was a New York City philanthropist who died in 2007. She was deeply concerned about the lack of musical educational opportunities available to the current generation of students. Her gifts to Clark University for music scholarships and musical performances are a testament to her desire to bring the original American musical art form to the Clark community. For more information, email clarkarts@clarku.edu.